Click the button below to add the Cascade APS 90 Amp 1200 Watts PRO GRADE Power Supply DUAL Volt MARINE READY! to your wish list. Professional Grade Power Supplies MARINE READY ! All Cascade Audio Engineering APS power supplies feature regulated and filtered outputs that provide clean power without the slightest hint of noise. The advanced circuitry utilized in our APS power supplies offer efficiency ratings of 86-90%. Their super light weight (6 - 14 lbs. ), low-profile design allows for convenient mounting in or under a display vehicle (car, boat, plane, armored personnel carrier, etc.) or behind a display board. Your new APS power supply may be used with or without a battery. 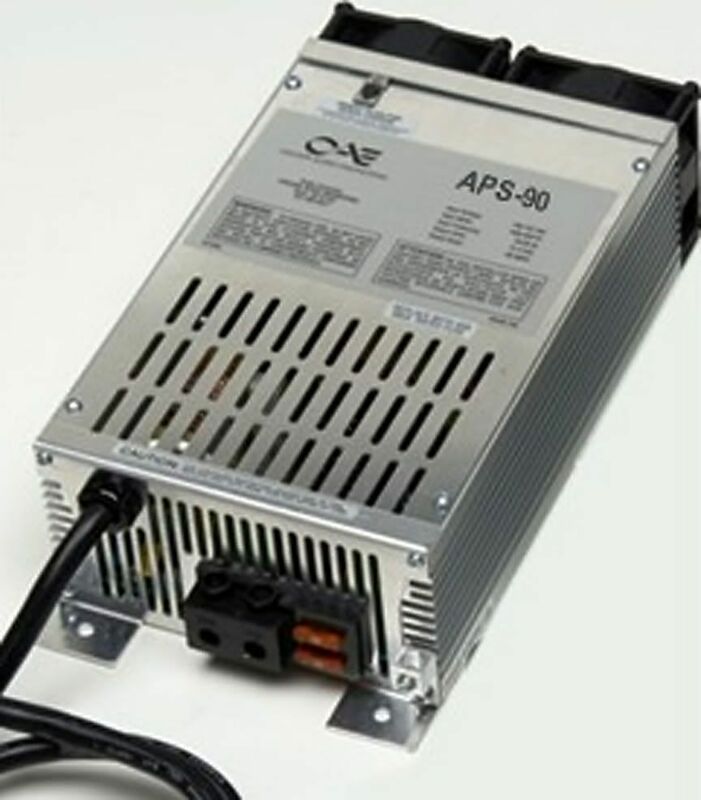 However, when combined with a high quality battery, APS power supplies can supply transient surges up to 1000 amps. In display applications where use of a battery are not possible, installation of a 1 Farad or 1/2 Farad capacitor is recommended. APS power supplies may also be connected in parallel for even higher current operation! Because all APS Power Supplies utilize an advanced switching design, there is no low frequency transformer hum. Every power supply is equipped with a quiet running cooling fan. Additionally, when not in use APS Series Power Supplies are essentially off, reducing electricity usage. Would you like more information about this item? All APS Power Supplies utilize an advanced switching design. There is no low frequency transformer hum. Every unit is equipped with a cooling fan that is virtually silent. APS Power Supplies all feature thermal control circuitry that engages the fan only when internal temperatures require it (typically 75% of full load). 300ESP VIPER 300 ESP Remote Control 471T 471C New !